From Monday 17 March you will be able to adopt a bear (and other soft toys) for a fee of £5 each. We have a limited number of bears available. Each is brand new and will come with a certificate showing the name of the bear and its new owner. The bears are numbered and when you pay your £5 your child will able to pick a numbered ticket to determine which bear you will get. 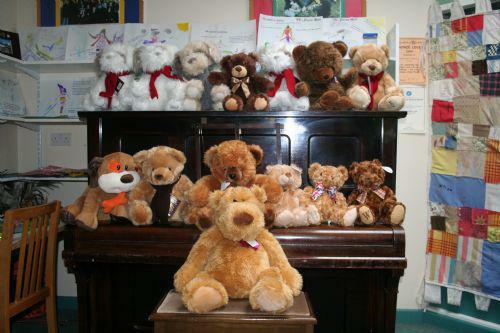 If you would like to adopt a bear, please send £5 in with your child as from Monday. The children will pick their tickets during worship all next week. Please remember that numbers are strictly limited.